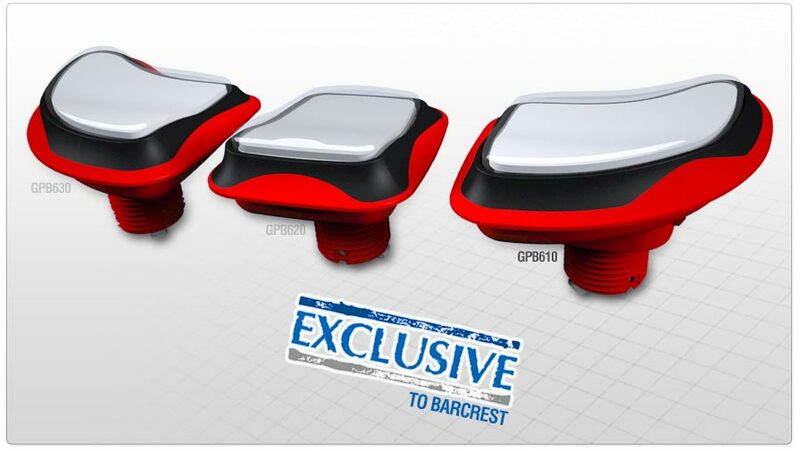 These 3 striking push-buttons are another successful example of a joint customer development. Developed exclusively for Barcrest's Horizon cabinet, the complexity of the 2 colour mouldings and their integration into the player panel show how important it is to work closely with our customers' engineering teams. The design, fit and function are all matched exactly to the panel in which they are mounted and are designed to meet the ergonomic needs of the player.